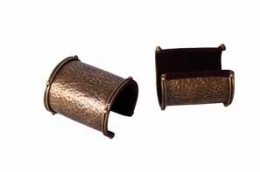 period inspired wide antiqued brushed brass pair of cuffs featuring an etched background, the edges of the cuffs are encircled narrow double bands highlight with brass beads. These cuff are lined for greater comfort. This page was last modified on 24 October 2014, at 15:00.